The Cedar Rapids Public Library is partnering with Imagination Iowa, an initiative of NewBoCo, to provide a new series of programs called “Ctrl Alt Create” and “Ctrl Alt Connect” and “LaddWorks” at the Library. These programs, designed specifically for young adults, will use robotics, art, science, technology and so much more to spark imagination and ignite a passion for learning. 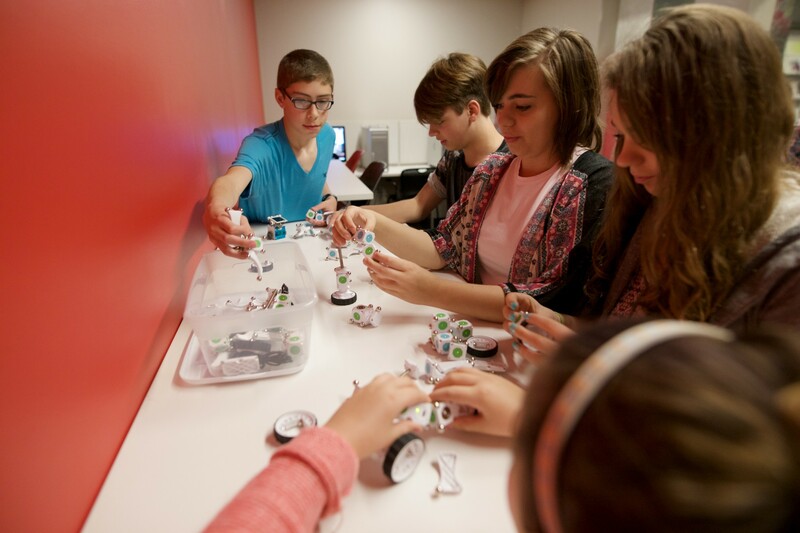 Another new program for young adults is the FIRST LEGO League Robotics team. Ten team members will be chosen from an initial meeting on Friday, Sept. 16 at 2 pm at the Downtown Library. Registration is required, since team size is limited. Meetings will continue weekly on Fridays at the Downtown Library at 2 pm. Click here to register. Visit our event calendar to see complete details of all the events happening at the Library this fall.